If you're a Customer Success Manager from the Atlanta area and want to boost your skills and earn an official certification in Customer Success Management, then join us for the upcoming CSM Foundations Customer Success Workshop in Atlanta, GA. 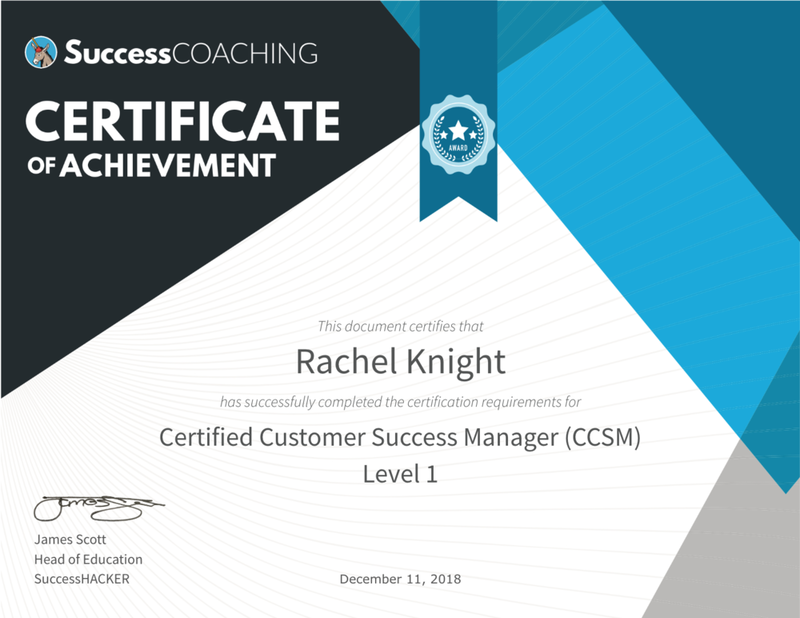 The Customer Success Manager certification workshop covers 12 topics, the full SuccessCOACHING Level 1 Certification curriculum, and is ideally suited for CSMs in individual contributor roles, or with early leadership responsibilities (although we've had everyone from VPs of Customer Success to people who are not yet in a CSM role enjoy our workshops). Our rigorous CSM certification examination assesses your understanding of the best-practices, methods, and strategies that you need to know to be able to deliver the outcomes that customers demand and that companies count on. Becoming a great CSM is a lifelong journey, attaining your Level 1 Certification is a significant first step. Earn your certification and display it as a digital certificate and badge on your LinkedIn profile to demonstrate your professional development and commitment to delivering the best outcome possible for your customers and company.